There is, of course, nothing inherently better about a game that gets a certain rating from the ESRB. A more mature rating might give the game’s developers more creative freedom, but Nintendo, as well as countless other developers, have shown that there is plenty one can do under the “constraint” of an E rating. For the past 16 years of my life, I haven’t been able to play games with that pesky M-rating, and there were certainly some titles that I felt that I was missing out on, but I have never been short on games to play. I remember when I was in late elementary school, and my peers were all talking about Skyrim. This was, at the time, a monumental step forward for what video games were able to do, and surely inspired the many open-world games that came after it. It was a game, however, that I was not allowed to play. I’m not here to criticize my parents’ rules. They’ve been excellent parents to me, and I do believe that you should definitely not give little Timmy Call of Duty. For adults who didn’t understand these gosh-darn video games and didn’t have time to do an analysis of comparing my maturity to the content of every game I played, a blanket rule saying that I can’t play games that say “17 and up” until I’m 17 is completely understandable. But guess who turns 17 today?! I have no idea where this is from, but I figured it was a true enough statement. If I never played a rated-M game in my life, I would still have far too many video games to ever finish in a lifetime. But, much like the reason why I bought a PS4, I need to keep having new experiences to keep my writing fresh. Unless I have to one day, I don’t intend to play Grand Theft Auto or Call Of Duty, as the former would make me feel gross playing and the latter interests me as much as watching paint dry. But there are plenty of games that have come out over the years, and even this year, that I can’t wait to finally play. It was hard for me to decide what rated-M game I should play first. The Witcher III? No, I want to read the books first to get caught up on the story. Skyrim? No, I want to wait for the Switch version so I actually have time to play it on the go. How about games that came out this year, such as Persona 5 or Nier: Automata? Eventually, for sure, but I wanted to start with something short that I can knock out in a few days without completely messing up my backlog. And that’s how I settled on The Last of Us. The game has been lauded as one of the best video games to come out within recent years, it’s only around 15 hours, and it’s a stand-alone game. In between the last paragraph and this one, my copy of the game arrived. In the past 16 years of my life, I’ve learned that violence is one of the worst things to exist in this world, among pop stars and toupeed politicians. While plenty of people like to blame violent movies and books, video games might very well be the most attacked medium. While largely misguided, this thought process makes sense. Movies and books have long been accepted as mediums of art. Yes, there’s violence, but it’s for the sake of art. The thought that video games exist purely for fun still exists, among both gamers and non-gamers. And some video games have definitely earned the infamy that they receive. Looking at a game series such as Mortal Kombat, it’s hard to make the argument that the violence is there to create a deep message. The argument that they turn others to violence on their own is, of course, a ridiculous notion. A good nugget of wisdom that my father has often repeated to me as I get older is that “just because you can do something, doesn’t mean that you should.” Looking at a game like Hatred (one game that I still can’t play for a year, not that I ever would) immediately illustrates the importance of this message. 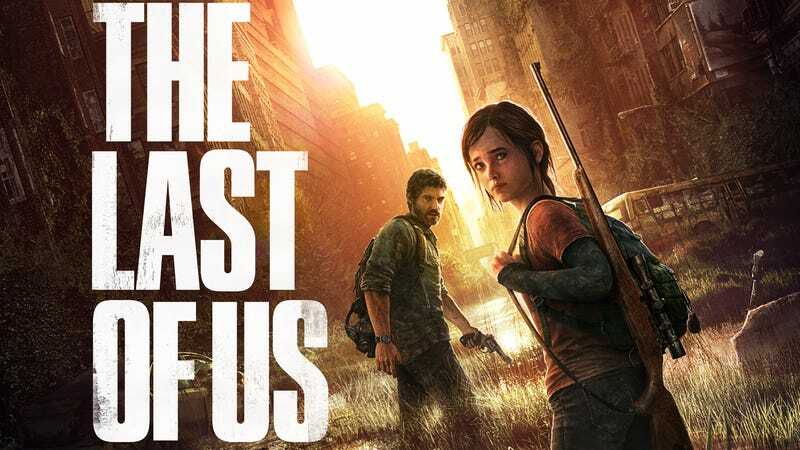 I think the important thing to keep in mind is that I’m not excited to play The Last of Us because of the M-rated label; I’m excited to play The Last of Us because it’s The freaking Last of Us! This game is labeled as a triumph for storytelling in video games that I can’t wait to experience for myself. Now, if you’ll excuse me, I’m going to actually play the game I’ve been writing about.